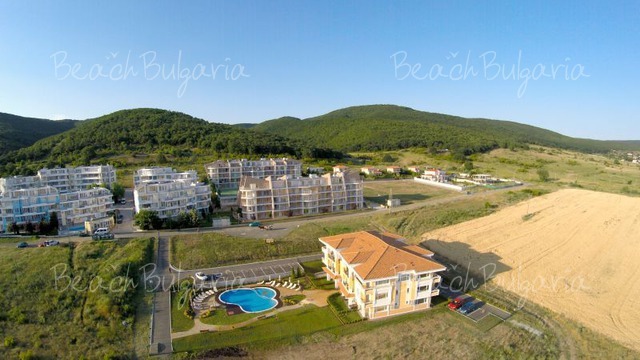 Sunset Kosharitsa holiday complex is situated next to an oak forest, 100 m from Kosharitsa village, at the foot-hills of the Stara Planina mountain and 6 km from sandy beaches of Sunny Beach, Nessebar, St. Vlas and Pomorie. 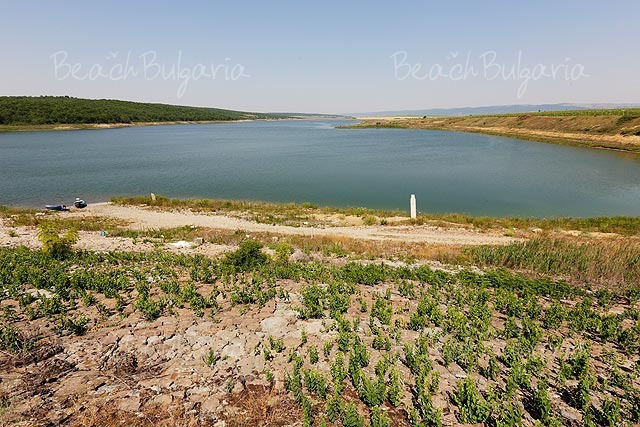 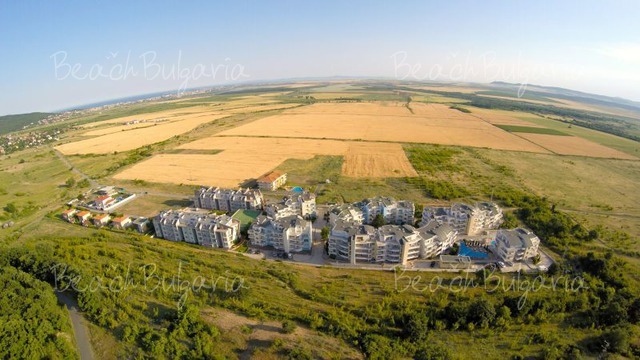 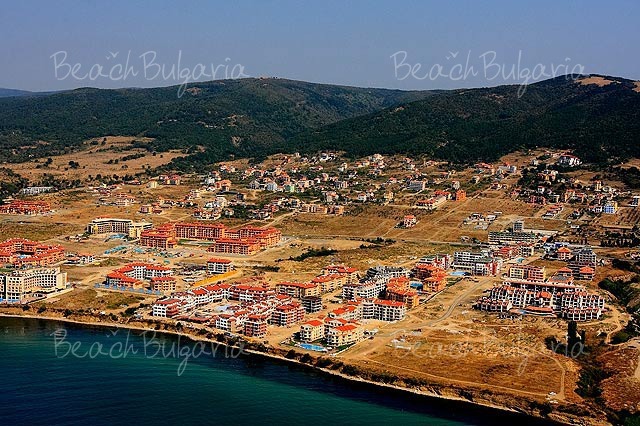 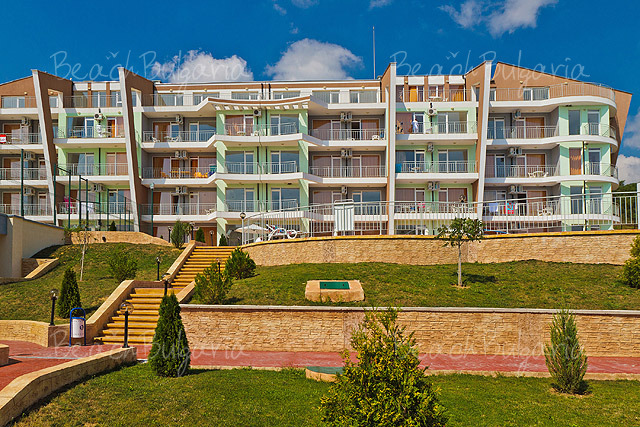 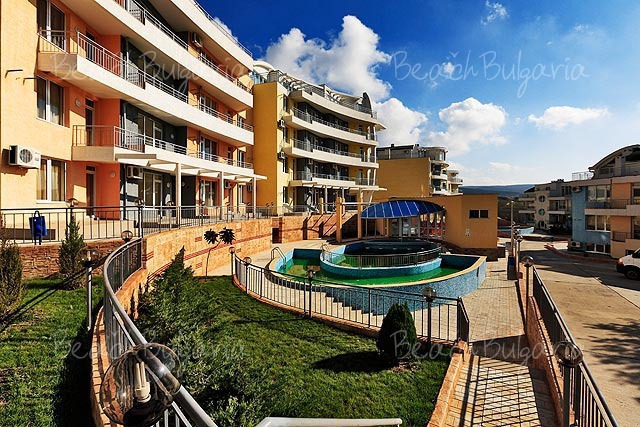 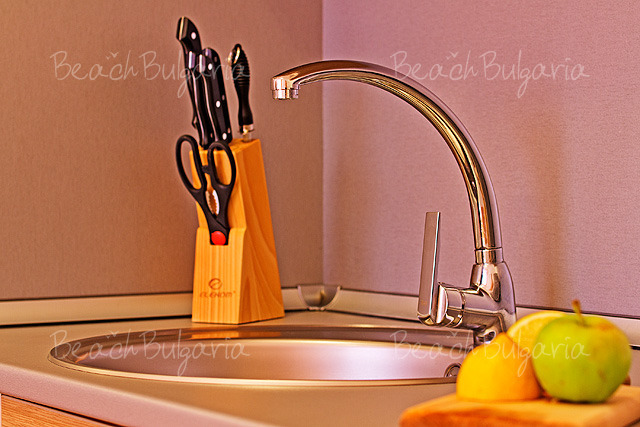 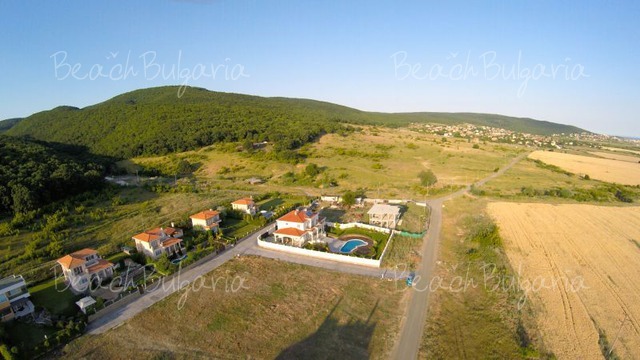 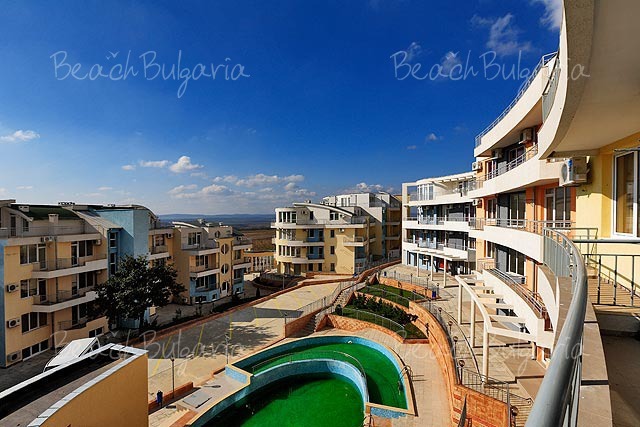 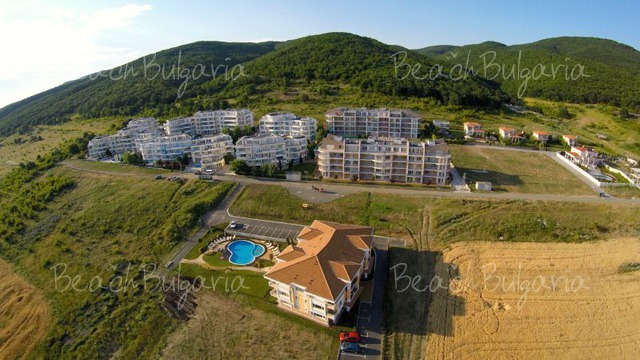 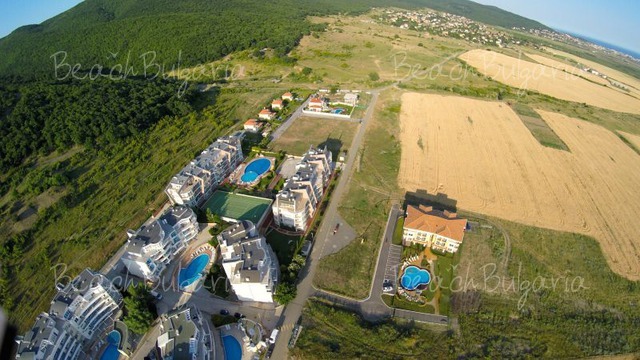 The complex offers splendid views to the sea and the bay of Sunny Beach and Nessebar. 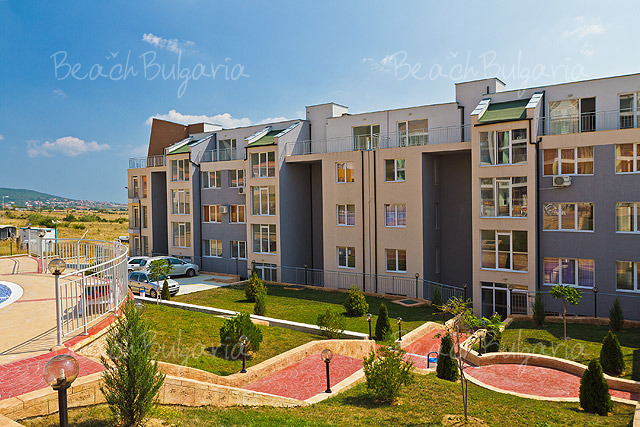 The nearby resorts are easily reachable by car, taxi or shuttle bus of the complex. 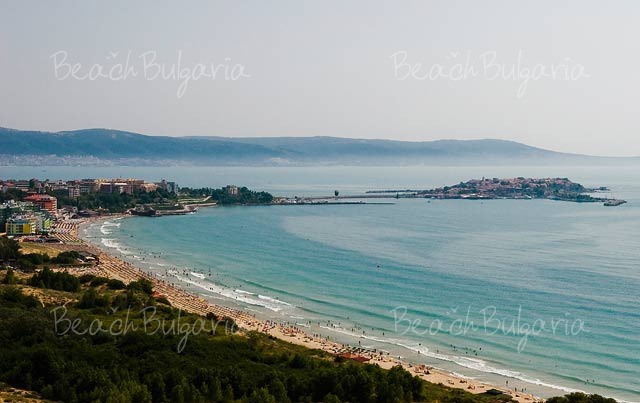 There is a public bus transport to Sunny Beach during the whole day. 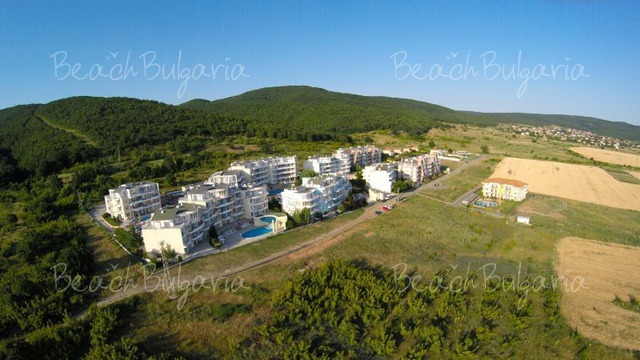 The Bourgas airport is 30 minutes away on a nice road, by regular public transport or by car. 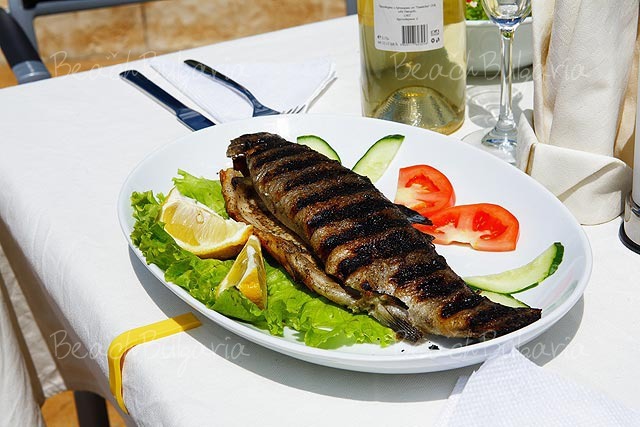 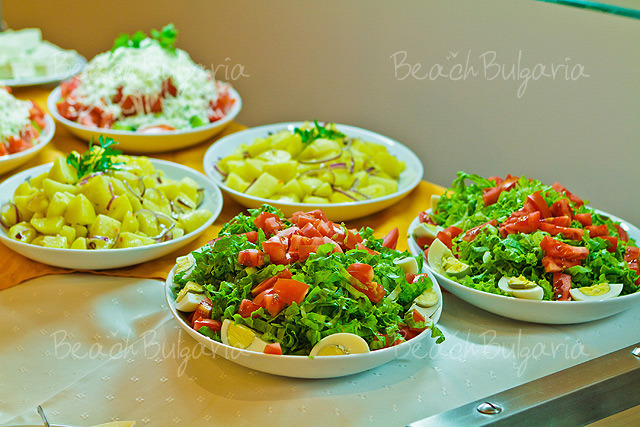 There are food shops and small restaurants in the nearby village of Kosharitsa. 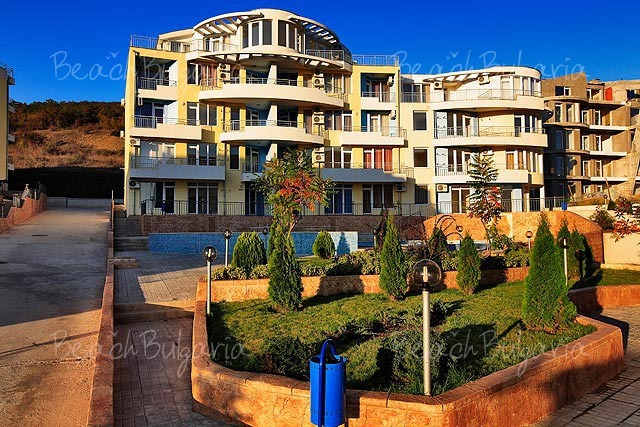 Sunset Kosharitsa consists of few apartment buildings with studios, one-bedroom and two-bedroom suites. 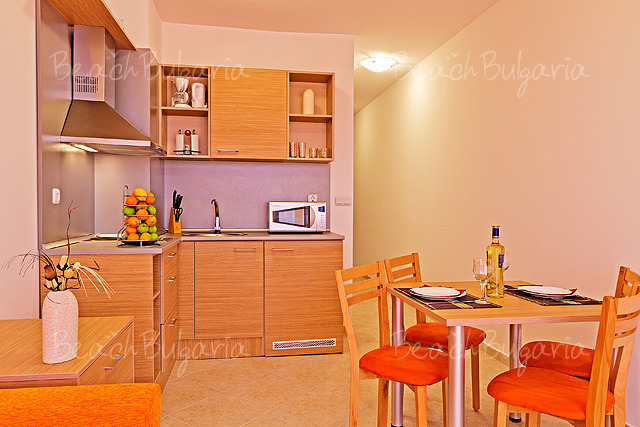 The suites are fully furnished according to the highest standards and offer home atmosphere, full cooking facilities (cookers, oven, microwave, toaster, fridge), as well as cable TV, internet, DVD, MP3 player, air-conditioning. 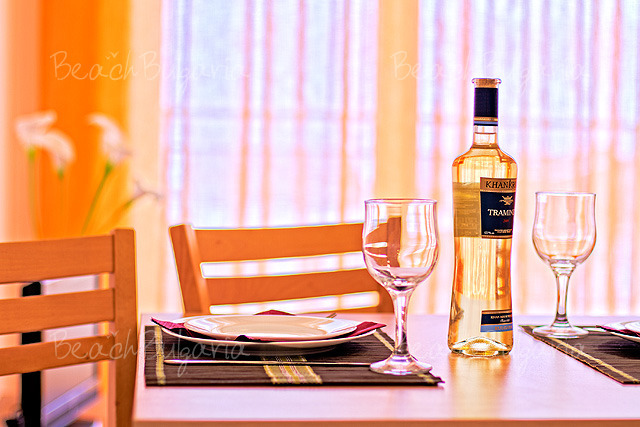 Cleaning and change of linen is provided on every 3 days or daily against a little extra charge. 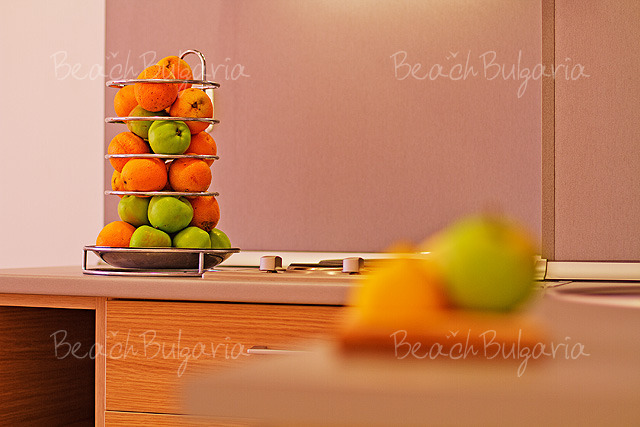 Most of the suites offer panoramic balconies with sea views. 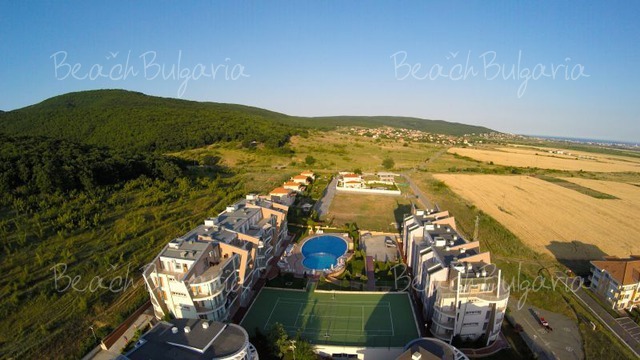 The property features gardens, a tennis court that can be used as a basketball or volleyball playground, a large swimming pool with children's area. 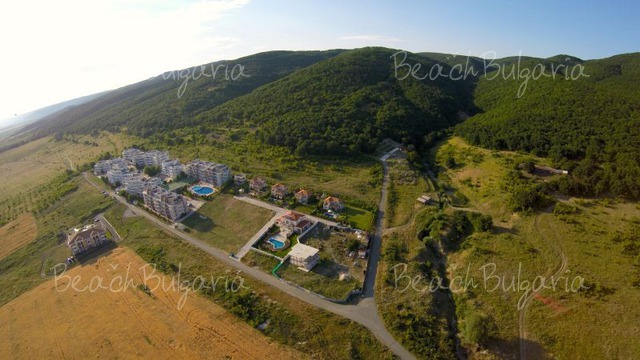 The oak-forest and the mountain hills around offer opportunities for picnics, walking tours, mountain biking. 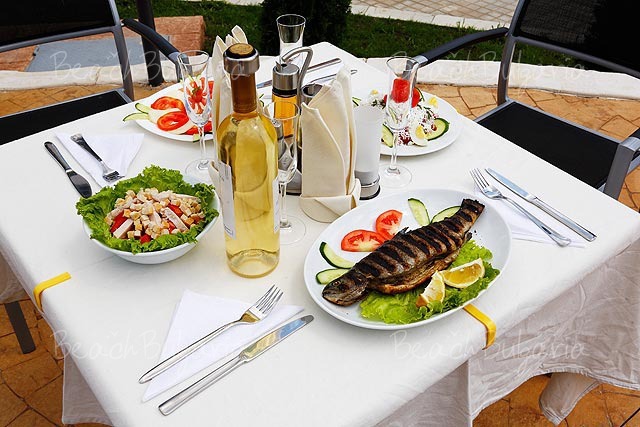 The complex offers Bar & Restaurant, an open-air terrace and a pleasant ambiance. 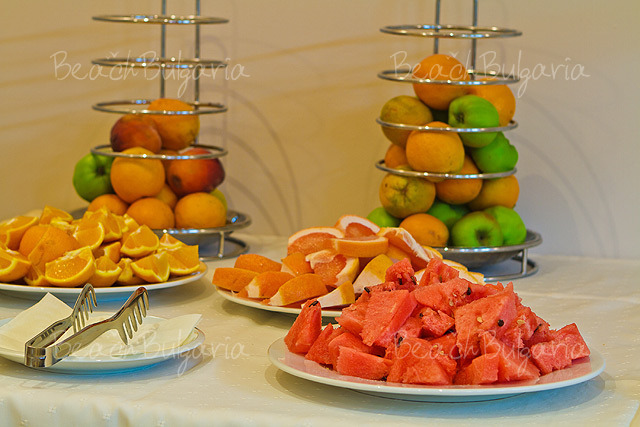 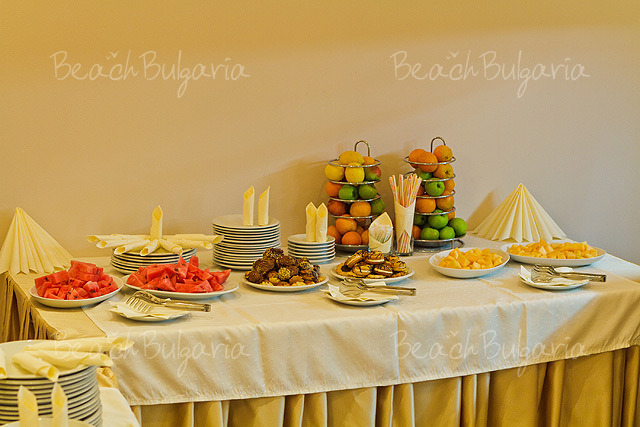 It serves meals from the Bulgarian and International cuisine, cocktails, various drinks,, vegetarian meals, healthy food. 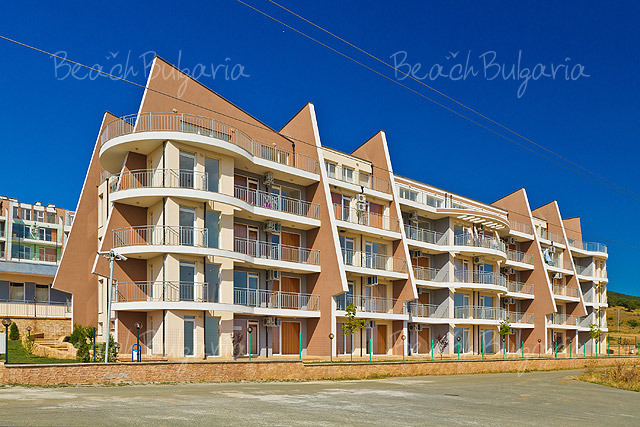 * Cancellations can be made free of charge providing details of this are received at least 14 days prior to check-in time on the day of arrival and 18 days during 09 July - 20 August 2018 - cancellations made after this period will incur a fee equivalent to the total cost of the accommodation. 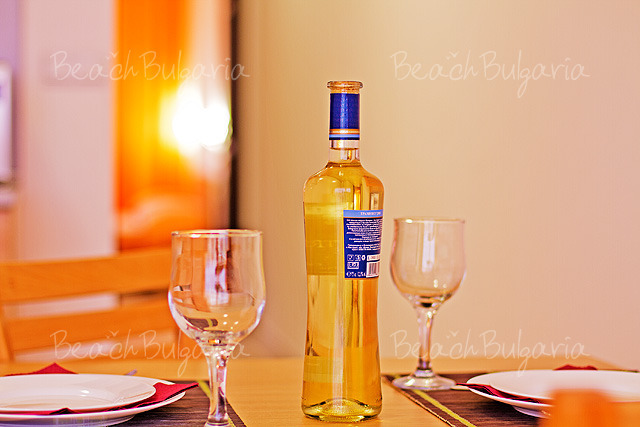 * All reservations with Early booking discount must be payd as follows: 50 % - 3 days after the booking is confirmed, 50 % - 20 days before the arrival date. 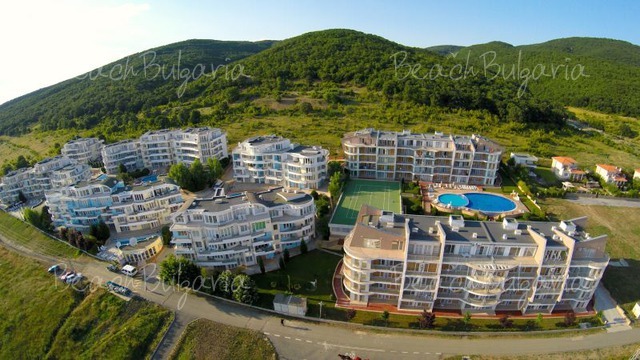 Please, post a comment on Sunset Kosharitsa Complex.